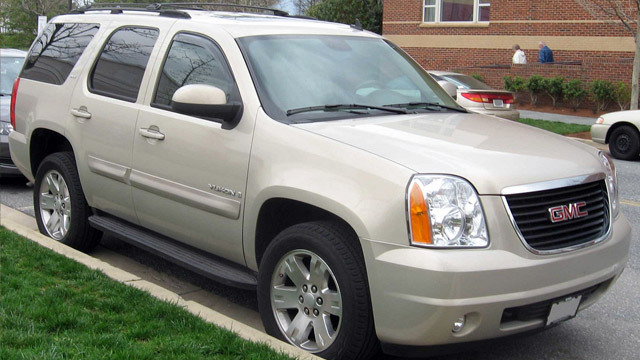 Whether you have a full-sized Yukon GMC SUV, a Sierra truck or another GMC vehicle, the auto mechanics at Antero Automotive & Truck Services are your one-stop auto repair place in the Denver Tech Center. GMC vehicles are built for a smooth ride in sometimes rough conditions just like you’d find in our area. And our auto technicians invite you to bring any and all of your GMC issues in so that you can experience the great customer service and technical expertise that our auto repair technicians are known for. At Antero Automotive & Truck Services we realize that you bought your GMC for its rugged durability and you need to be able to count on your GMC vehicle to have the “get up and go” that you got at the get-go. But if your GMC’s “get up and go” got up and went, we’re here to bring it back and make sure it stays. Here at Antero Automotive & Truck Services, we want you to have a stress-free experience so we have a shuttle service that runs in the morning, an Uber in the afternoon, and we have five loaner cars as well. We have a nationwide Napa 3-year/36,000-mile warranty. In addition, we’re AAA approved, we’re an ASE Blue Seal Shop, and Repair Pals certified. we also do digital inspections with pictures of what is happening with your GMC and will prioritize the repairs. You will get a customized plan that works for you. "I needed some extensive work done on my 08 Yukon. After reading reviews and talking to another repair place, I chose Antero. Great job!" -- Troy R.
We look forward to giving you excellent service here at Antero Automotive & Truck Services. Please give us a call today. As the go-to choice for GMC drivers in the Denver Tech Center area, we have your best interests in mind. Let us prove it to you. Schedule an appointment today or stop by. Antero Automotive & Truck Services is located at 6615 S. Dayton Street, Greenwood Village, CO, 80111.